We’re taking action in our communities and joining with groups around the world to build a movement powerful enough to take on the climate crisis. Central Colorado is already experiencing the effects of climate change, and they aren’t pretty. From worsening wildfires to decreasing winter snow, climate change is already here, now. We are working locally to help build the grassroots movement to address the climate crisis and transition to a sustainable future. To learn more or join our team email robertkayparker@gmail.com. Join our facebook group 350 Central Colorado. Thank you! We are actively looking for an intern for our 350 Central Colorado team!! 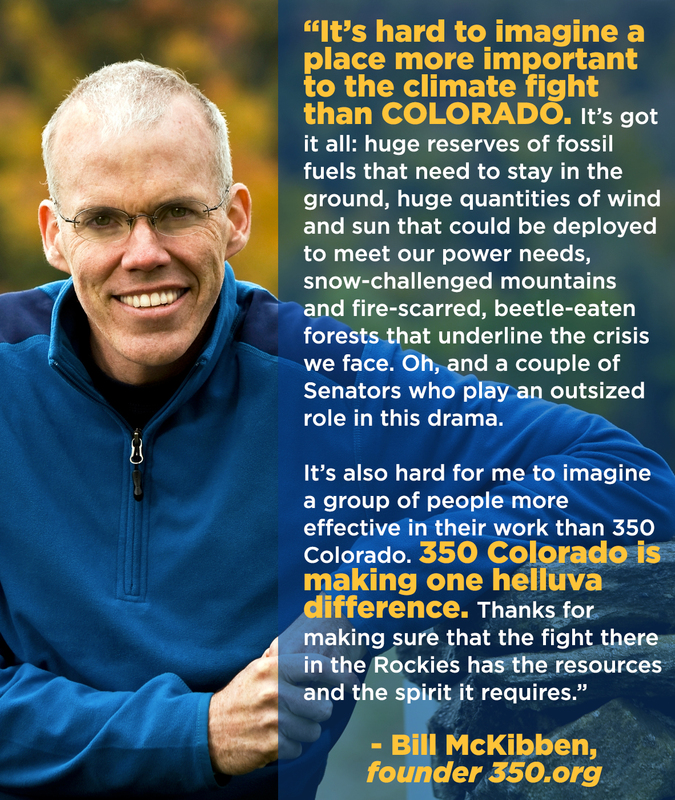 Please email volunteer@350colorado.org for more information! Parade for the Species starts at 10am at Alpine Park to Riverside Park where the festival begins. Speakers, Booths, kid friendly activities and more! 50′ inflated whale, Eco Maze, free electronic recycling and featuring the Salida Circus, Slushy the Polar Bear and the River Tribe. Come and check out the Cheyenne Mountain Zoo Mobile, the Pueblo Raptor Center meet & greet and hear from keynote speaker Colorado Rising Executive Director Joe Salazar! Don’t forget to wear a costume of your favorite endangered animal and participate in the parade with your family!